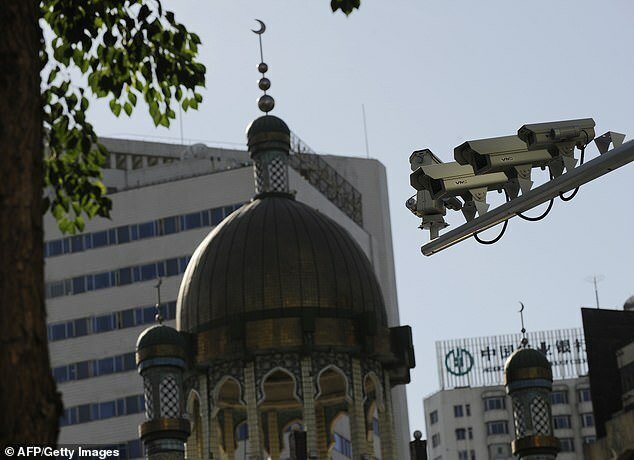 Facial recognition technology – integrated into China’s huge networks of surveillance cameras – has been programmed to look exclusively for Uighurs based on their appearance and keep records of their movements across China, according to the report on Sunday. 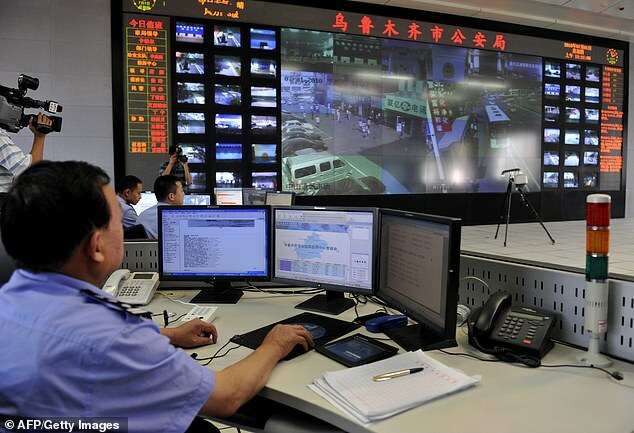 Police are now reportedly using artificial intelligence (AI) technology to target Uighurs outside Xinjiang, including in wealthy cities like Hangzhou and Wenzhou. 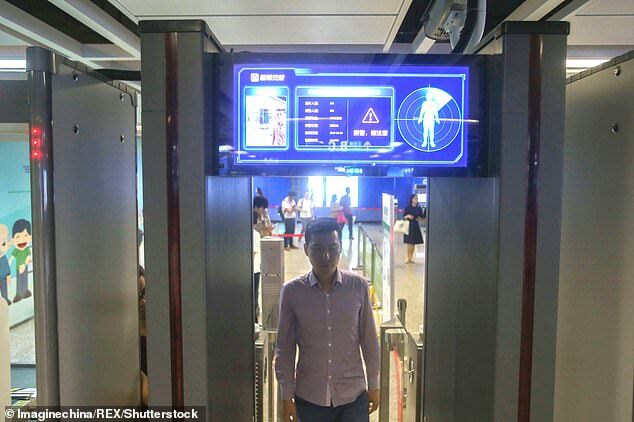 The newspaper claims one central city scanned whether residents were Uighurs 500,000 times in one month alone. Xinjiang, which shares a border with several countries including Pakistan and Afghanistan, has long suffered from violent unrest, which China claims is orchestrated by an organised ‘terrorist’ movement seeking the region’s independence. 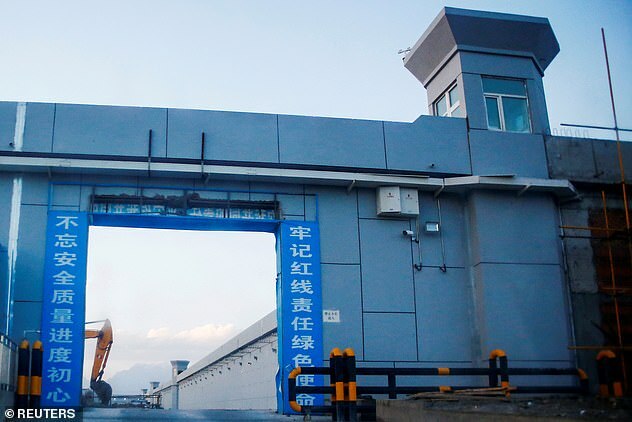 While it previously denied the existence of the camps, Beijing has moved towards acknowledging their existence – but insists they are for ‘vocational education’ and are vital in the fight against separatist sentiments and religious extremism. It has also gone on a public relations blitz since last October in a bid to counter a global outcry against the camps by inviting diplomats and journalists to tour the centres. What are China’s Muslim ‘re-education’ camps? 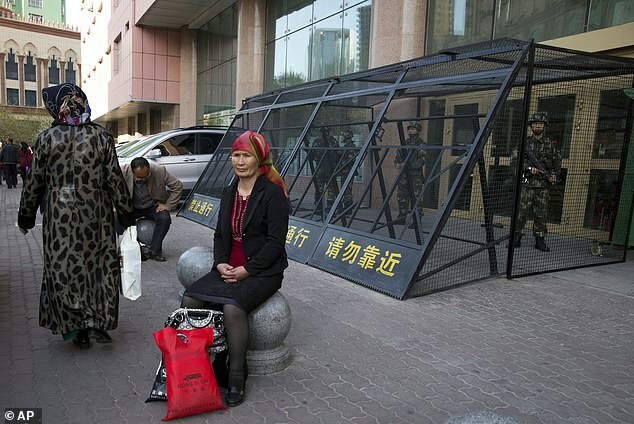 Chinese authorities in the heavily Muslim region of Xinjiang are believed to have ensnared tens, possibly hundreds of thousands of Muslim Chinese – and even foreign citizens – in mass internment camps since spring last year. 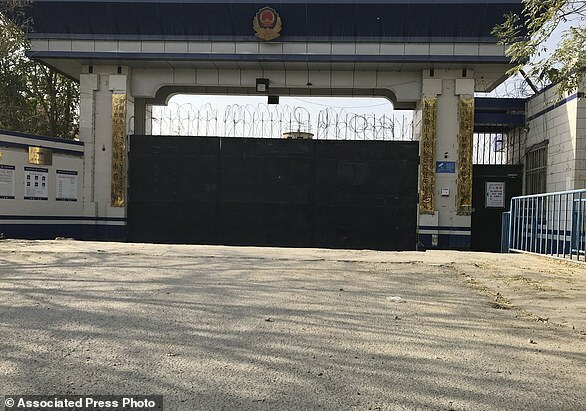 Such detention campaigns have swept across Xinjiang, a territory half the area of India, leading to what a US commission on China said is ‘the largest mass incarceration of a minority population in the world today’. The internment programme aims to rewire the political thinking of detainees, erase their Islamic beliefs and reshape their very identities, it is claimed. The camps have expanded rapidly over the past year, with almost no judicial process or legal paperwork.